This morning at the ChinaJoy expo, HTC is announcing their first shipping VIVE standalone VR headset, specifically for the Chinese market. The aptly named VIVE Standalone is based on Qualcomm’s recently launched Snapdragon 835 SoC, and for the first time brings the Viveport store and its content to the Chinese market. 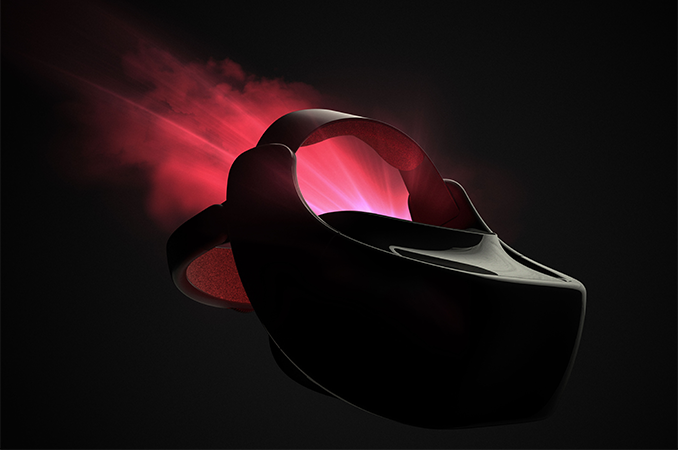 The HTC VIVE Standalone VR headset is a yet another device of this kind to be powered by Qualcomm’s Snapdragon 835 SoC, which is one of the highest-performing mobile processors available today. The VR headset does not require a PC or a smartphone, is completely standalone and will get content from the Viveport store in China. Since Google's Daydream content is not available in China due to national regulations barring Google's services, HTC had to design a separate headset for the country rather than to sell its Daydream-compatible VR hardware. HTC is not disclosing much in the way of details about the specifications of the VIVE Standalone VR headset for China, but its design and some other factors indicate that the product has quite a lot in common with HTC's previously-announced Daydream VR-compatible headset. The dimensions of the product hint that we are dealing with a device featuring a 5” or better panel, though it's anyone's guess on whether the resolution is FHD or higher at this point. Finally, content developed for the HTC VIVE Standalone VR headset will be created using tools compatible with Qualcomm’s VR platform. Meanwhile, for customers outside of China who will have access to Daydream content, HTC is also making it very clear that this headset has no bearing or impact on their previously announced standalone Daydream headset. That product is still being developed and will be released to the market later this year. HTC did not specify pricing of its VIVE Standalone VR headset, but said that the device was designed to enable “a more affordable, yet high-quality VR experience”. What are the benefits of using the Snapdragon based 835 over the exynos 8895? Are they using my application and game streaming technology as well or is this a self contained playback device?